Now you can put our outstanding service and reliability to work for you. By using Brock Wardle of Bull Mtn Home Inspections you benefit from a home inspector that delivers inspections and reports that meet or exceed Washington and Oregon State standards. Your presence during the inspection is encouraged. By being present at the inspection, as your inspector we can familiarize you with the home and explain things to you as we move through the house. ​I’ll be blunt – I’m NOT the guy someone calls when they want an “inspection” that doesn’t look too closely. I AM the guy buyers, sellers and home owners call when they want an uncompromising home inspection. People deserve to know the real story of the home they are looking to purchase, sell, or have maintenance concerns, and I give them the truth. It’s the only way I work. Highly trained to be familiar with a wide variety of situations. 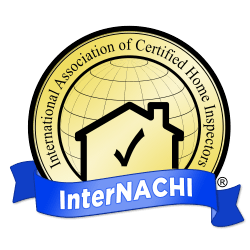 We believe that clients have the right to expect the highest standards of professionalism, thoroughness, fairness and effectiveness from their home inspector. All of our inspection reports must be authentic and stand up to critical examination. We continue to build our reputation one inspection at a time to ensure you get the best professional quality service you expect from your inspector.